ROGERS PARK — A new study highlights the growing need for affordable housing on the city's North Side as buildings like the Astor House in Rogers Park and the Wilson Tower in Uptown are converted to market-rate units. 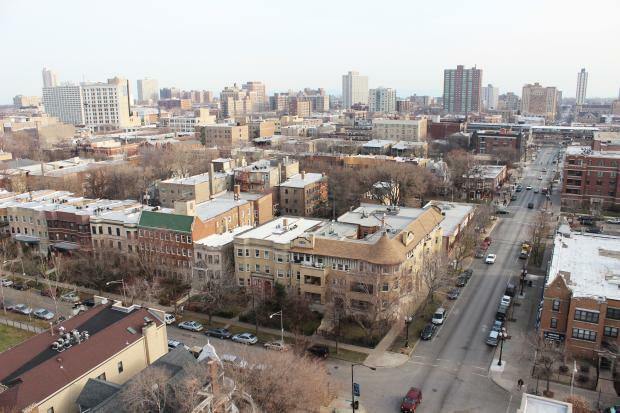 The DePaul University study finds that an area defined as Rogers Park, Edgewater and Uptown saw a 1.4 percent increase in people renting. Overall, the city saw a 10.3 percent increase in renters. Both the supply of and demand for affordable housing on the Far North Side, however, proved to be more than in any other area throughout the city. In 2011, more than 31,300 households earning 150 percent of the poverty level were paying 30 percent or less — up to $863 — of their monthly income toward rent. The demand was 20.4 percent more than what was available, leaving 8,044 households without affordable housing as defined by the study. "Coming out of the market collapse, you're seeing those distinctions becoming sharpened in some ways," said Geoff Smith, co-author of the study and executive director of the institute. Smith said the loss of affordable housing units on the city's North Side had been "an issue in the years leading up to the housing crash — when we had a really strong market." And now, as the rental market rebounds, he said, more and more affordable units are disappearing. In Chicago, the gap grew by 8 percent between 2007 and 2011. In more recent years, affordable housing units — often on the hook by the city for building code violations — have been bought on the Far North Side by developers looking to turn a profit on market-rate units. Rogers Park's Astor House, for example, was bought by Jamie Purcell of BJB Properties and since then many of the low-income tenants have either been evicted or asked to find other housing by the building's management. For some, it wasn't the first time being forced to leave by BJB. Several residents said they had been renters at Lakeview's Chateau Hotel before being evicted by BJB, leading some to board a bus to protest outside Jamie Purcell's Park Ridge home on April 6. Another developer, Jay Michael of Cedar Street properties, bought seven distressed buildings in Rogers Park, Edgewater and Uptown with plans to market the units as "chic" and "hotel-grade" under the name FLATS Chicago. The Lakeview Action Coalition, a neighborhood activist organization, estimates the North Side has lost nearly 2,000 affordable units in the past three years. Smith, of the housing institute, said the loss of housing was a "concern" and that future policies should preserve quality affordable housing. "How do you ensure that there is affordable housing?" he said. "That’s got to be a question going forward."